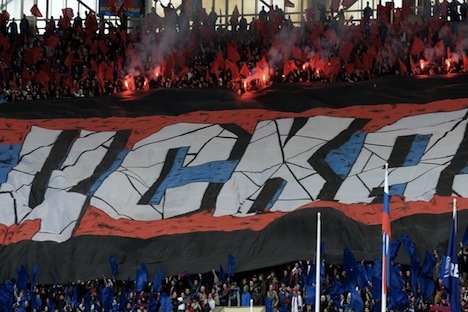 The Central Army Sports Club (CSKA) turned 90 years old this week. CSKA has won major international championships in the widely popular sports of soccer, basketball and hockey. Legendary Russian athletes tell RBTH why they feel they owe their success to this long-lived club. Viacheslav Fetisov – a CSKA legend, two-time Olympic champion, seven-time world champion, two-time Stanley Cup winner, multi-time champion of the Soviet Union and current government official – told RBTH about his attachment to the army club. Anna Chicherova, high jump champion of the 2012 London Olympics, silver medalist of the 2008 Olympics and high jump world champion told RBTH that it was the army club that brought out her champion potential.